His theory is a bit different. 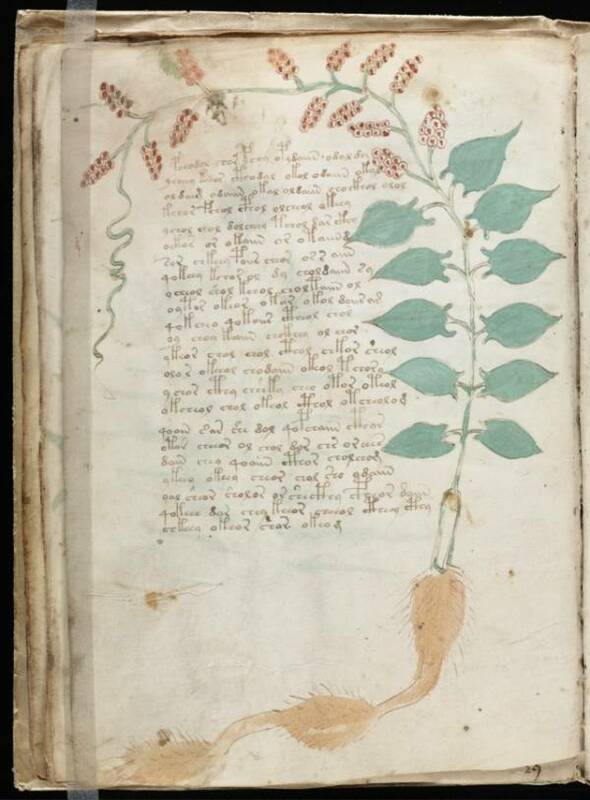 Since its discovery in 1912, researchers around the world have been puzzled by the Voynich manuscript, which was originally discovered by its namesake, a bookseller named Wilfred Voynich. It was found in an Italian Jesuit college, along with a letter dated from 1666, which Voynich concluded was the year the book was written. The manuscript is filled with mysterious drawings, and writings in an unknown language or code, but aside from that, and a carbon-dating record that puts the book’s creation somewhere between the 14th and 15th centuries, not much else is known about the book. The manuscript’s history sounds like the plot of a Dan Brown novel — a handwritten book filled with pictures of mysterious plants, astrological charts and womanly figures is discovered in an Italian monastery, centuries old and written in an unknown language — though so far, the story has been left without a satisfying conclusion. For a century, academics and cryptographers have been trying to break the code, but to no avail. Recently, however, an expert has come forward claiming to have some insight into the mysterious manuscript. Nicholas Gibbs, a British academic and expert on medieval medical manuscripts, claims that the document is actually a health guide for women looking to treat gynecological conditions. Gibbs came to his conclusion after discovering the text is written in Latin ligatures. Gibbs detailed his findings in an essay for the Times Literary Supplement. In the essay, Gibbs explains that by studying medieval Latin, he learned that in the interest of saving time, medical scribes created ligatures to represent abbreviated words, rather than individual letters. He pointed out that while the individual ligatures in the Voynich manuscript are somewhat recognizable, when grouped together they formed words that did not fit into any known language. Therefore, he says, the ligatures themselves must be words. 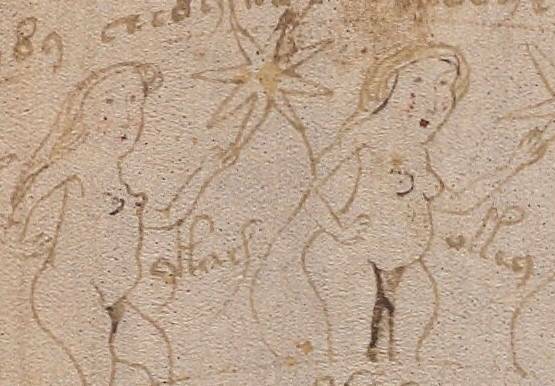 Gibbs also pointed out that many of the drawings in the Voynich manuscript are of various plants resembling modern herbs (though none can actually be identified), and of bathing practices typical in medieval times. It was these pictures, along with the ligatures Gibbs recognized, that brought him to his conclusion that the manuscript was in fact a health manual. During medieval times, women with certain conditions were told to soak in baths of herbs as a remedy. Gibbs’ hypothesis has yet to be confirmed and is just the latest of many to come out of the study of the Voynich manuscript. Many cryptographers, scientists, and academics have poured over the mysterious manuscript, though none of their hypotheses turned out to be anything more than educated guesses. In 1943, U.S. cryptographer William Friedman hypothesized that the text was a military code, but like Newbold, his theory was cast aside as it didn’t apply to the texts entirety. The most widely accepted Voynich theory was theorized in 2004 by Gordon Rugg, a British linguist. He attempted to re-create the figures used in the manuscript, by creating a grid, and using a quadratic stencil to trace over it. He managed to create symbols and shapes similar to those in the manuscript, and thus theorized that the book was nothing more than meaningless lines. This “hoax theory” was backed by Austrian physicist Andreas Schinner, who published a text in 2007, claiming inconsistencies in the books writing that do not occur in any known language. If you liked this, check out the Voynich Manuscript, the world’s most mysterious book.